Since 1993, our sister company, Life Line Screening, has been providing community-based preventive healthcare screenings. Life Line Community Healthcare, established in 2013, is focused on being a convenient partner for Medicare-eligible wellness needs. In this professionally skilled position, you will oversee and administer annual wellness visits to interested and eligible participants. As such, you will be a part of a dynamic team environment where prevention, wellness and quality are priority. Flexibility to travel by car to community events within 1-3 hours away from the home location… rental car or mileage reimbursement provided. #1 Qualification: Must work and be active as a Sole Proprietor, billing independently for medical services through Medicare under a PTAN-I. #2 Qualifications: Must be licensed in the state and approved as a Medicare provider in the state of services. An immunization checklist/schedule for the next 5-10 years as appropriate and personalized advice for health, nutrition, exercise, and/or referrals to health, education or other services as needed. Breakdown of supplies and event area. 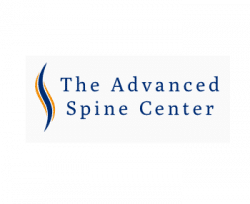 Orthopedic spine practice located in Morristown, New Jersey is looking to hire an energetic and self..
At Associated Urologists of North Carolina (AUNC), you will be working under the direction of 15 Boa..
Brownstein & Crane Surgical Services has an exciting opportunity for an experienced Physician As..